While I have been using the Apple iPad Pro with iOS 10 on board for a while now, iOS 11 does make it a lot more flexible; and at times little flexibility is enough for some to call it a PC. The 2017 Apple iPad Pro packs in a HDR-ready display capable of playing both HDR10 and Dolby Vision formats up to 120 frames per second. Apple is finally bringing its updated line-up of the iPad Pro, MacBooks, iMacs and the iMac Pro to India. 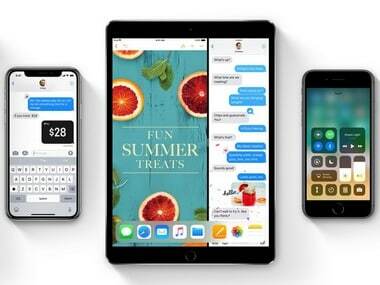 Apple announced its 2017 line-up of products at WWDC early last month and had also listed its pricing in India, however, the new set of products will go on sale in India starting today. The latest rumours regarding Apple’s upcoming iPhone 7s and iPhone 8 suggest that Apple will be incorporating the iPad Pro’s True Tone capabilities. 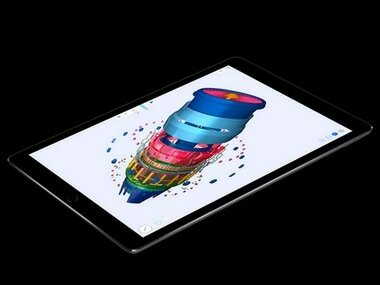 According to a report in Inquisitr, the Apple iPad Pro 2 is set to launch soon, in not one, but four different variants. Using an iPad Pro as a computer today means lifting up your hand from the keyboard cover every time you interact with the interface. According to the International Data Corporation's (IDC) quarterly tablet tracker, the worldwide tablet market has seen a slump with a 14.7 percent year-on-year decline in terms of shipments. According to a patent filing by Apple, it is revealed that a new type of Pencil may be in the offering. The 9.7 inch Apple iPad Pro similar to the leaks of the past, packs in some features from the 12-inch iPad Pro and will even come with Smart Pro accessories. The upcoming iPad Pro may consider adopting a 12MP camera and could be capable of shooting 4K videos too.